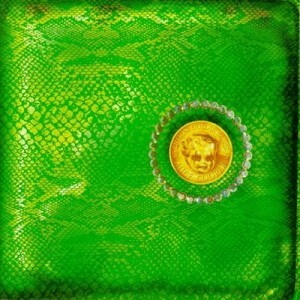 Today’s Cool Album of the Day (#953 in the Series) is Alice Cooper, Billion Dollar Babies. About three years ago I listened to this album for the first time in about 12 years. I could not believe how great it still sounded. Of all the early 70s things that I loved, this one still kicked as good, if not better, than almost anything else I’d played in quite sometime from that old era. The quality of the tracks stood out, but what stood out the most was the quality of the arrangements and wonderfully intricate playing by the band. There was a ton great musicians in the early Alice Cooper band. It’s great to hear hard rock played by these great studio quality musicians. It’s really too bad that the original band didn’t stay together longer. They were the late Glen Buxton on lead, Dennis Dunaway bass, Michael Bruce rhythm, Neal Smith drums. If you want to hear a great example of what I’m referring to when I discuss production and arrangment go no further than “Elected” play close attention to the horns parts. They build larger verse by verse, reaching a crescendo for the finally. This was quite intricate for its time. All hail producer Bob Ezrin and engineer Shelly Yakus! I also loved the way they used Donovan on the title track. On some verses Alice sang lead with a tight harmony from Donovan. On other verses, it’s just the opposite. Nice. Here’s something you may not know about Billion Dollar Babies. The leadoff track, and one of the strongest on the disc, “Hello Hooray” was originally recorded by Judy Collins in 1968. Send in the Glam!! In closing, there is one more thing that I’d like to say about this album. Billion Dollar Babies is the perfect example of why I miss the vinyl days. 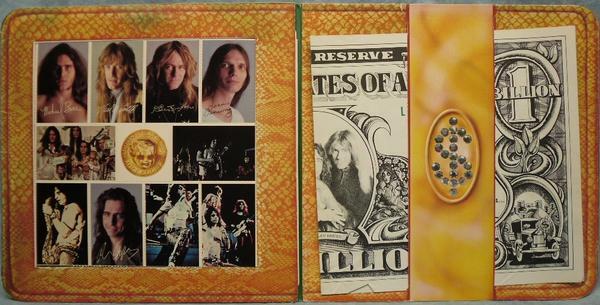 This gate fold release had wonderful cover and artwork. You got some Alice Cooper band trading cards. (That no one ever really punched out) and also a huge billion dollar bill. It was the nuts! Listen to the entire studio album below. Here’s some more good hard rock to keep you busy.